It can be tricky to know what you can and cannot do when buying a home. Is it ok to open that credit card to buy furniture for your dream home? What about quitting your job to stay home with the kiddos? 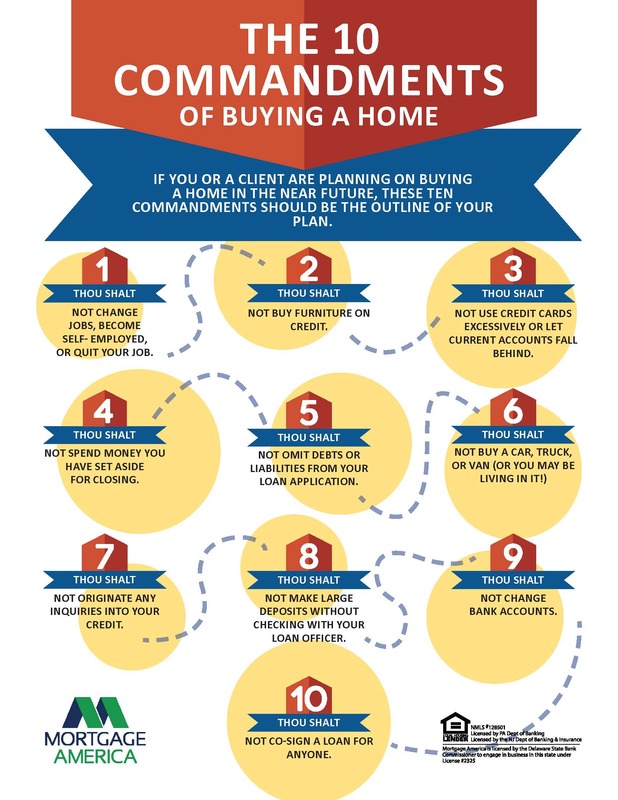 Here are the 10 commandments of buying a home from Mortgage America. Freestyle Real Estate agents are glad to assist with any of your home-buying and financing questions.